You own a property. You want to let it. Someone turns up and says they want to rent it. At first glance, that’s it. Job done. Surely you have the right to rent your property to anyone you choose? Well, no, in fact you don’t. The law has a good deal to say on the subject of tenants’ rights, and the things that a tenant can legally expect and demand from a landlord. What seems to be less widely known, is that the law says who has the right to be a tenant in this country – a right to rent. The law also says who is responsible for policing this legislation, and it’s you. The landlord. Landlords who rent a property to someone who is not legally permitted to rent it are committing an offence. A tenant must be at least 18 years of age, and it is your task as a landlord to ask for and examine the evidence that shows this is the case. This is true even when the tenant is not named on the tenancy agreement. In fact, it’s true when there is no tenancy agreement, or when the tenancy agreement is not written down. You must make sure the tenant, as well as anyone who will be living in the property and is over the age of 18, is entitled to be in the UK. Do that by checking their passport, take a copy of the passport (and keep it somewhere safe) so that, if you’re ever asked to prove that you compiled with the legislation, you can do so. And, if you are told that someone living in the property is under 18, then check the documentation that confirms their age. Where a British or Irish citizen cannot produce a passport, two or more original documents will need to be produced, such as a full UK driving licence and birth certificate issued in the UK. The landlord or agent will then need to take a copy for their records. If the passport can’t be produced because the would-be tenant has applied for immigration or is appealing against a refusal and the passport is in the possession of the Home Office, get the Home Office reference number from the tenant and ask the Home Office to carry out a right to rent check. Or, at the latest, 12 months after the previous check. If this follow-up check shows that the right to rent has ended, it is your job as landlord to inform the Home Office of that fact. If you are advised by the Home Office that the right to rent of one of your tenants has expired, it is not usually necessary to terminate the tenancy immediately. Provided that you (or the tenant) do not drag the matter out unreasonably, you can negotiate an acceptable date for the tenant to leave. 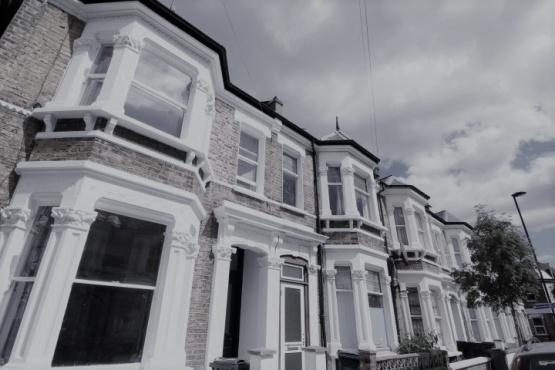 If the tenancy would, in any case, come to an end no more than three months after you are advised by the Home Office, then you will be permitted to allow the tenant to remain in place until the end of the tenancy. Renting a property to someone who has no right to rent is a serious offence and can result in fines and imprisonment. If you are a professional landlord, you are reasonably on the spot, and you have the time, then you can carry out these checks. They are time-consuming, but they can be done. Alternatively, you can put the whole thing in our hands. Our landlord services will take care of everything, ensuring that you have the kind of tenants you want and you don’t get into trouble because you inadvertently broke the law. Contact us today, and let’s discuss the services we can offer you.